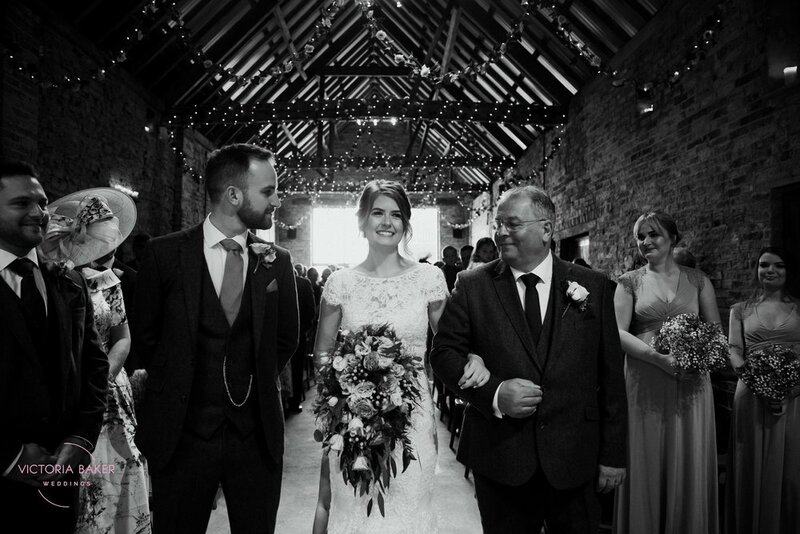 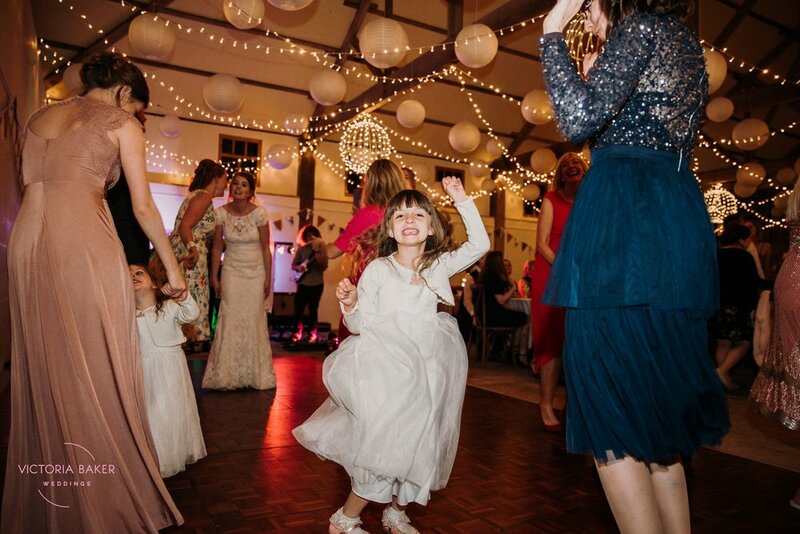 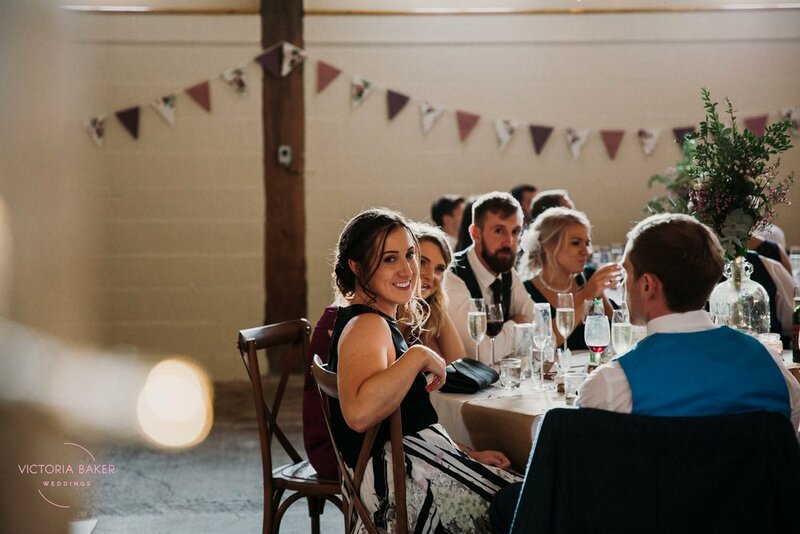 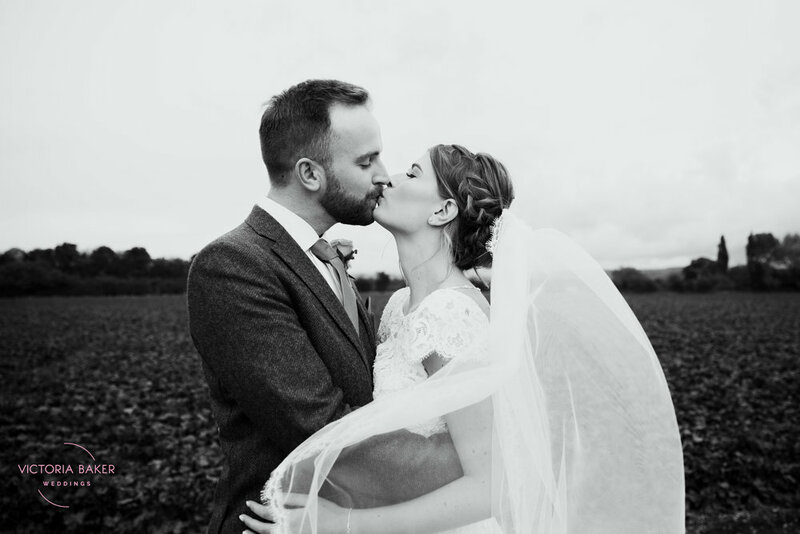 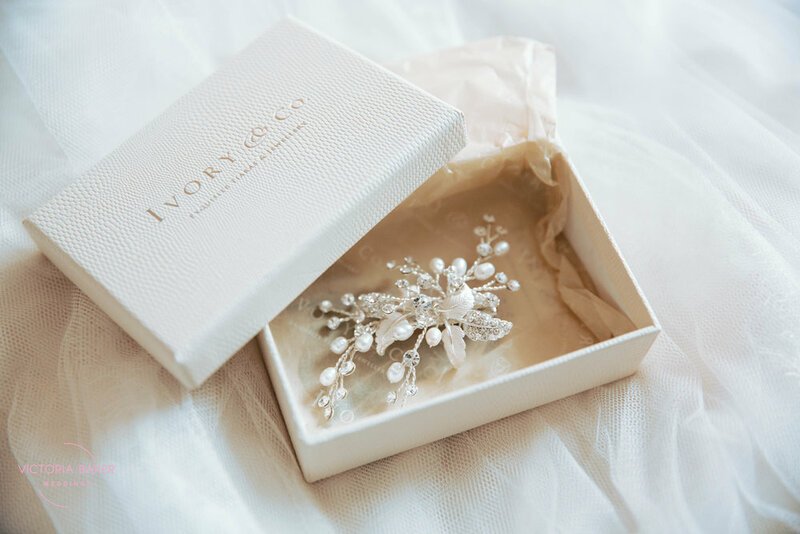 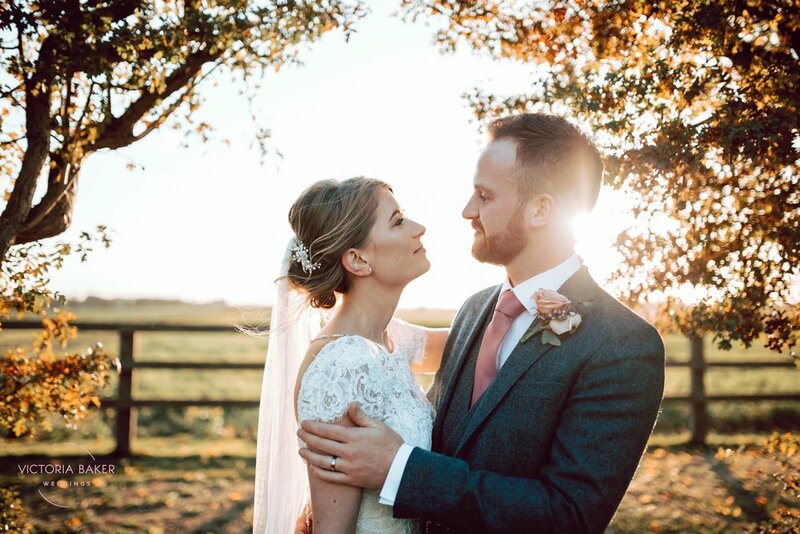 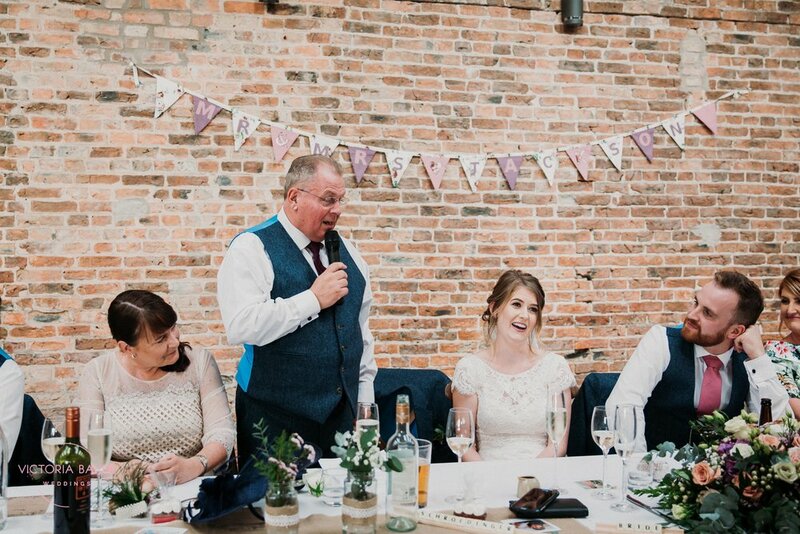 Abby had seen some of the wedding photographs I had previously taken at Barmbyfield Barn and loved them in all their Autumn glory, so I knew exactly the type of wedding photographs she wanted. 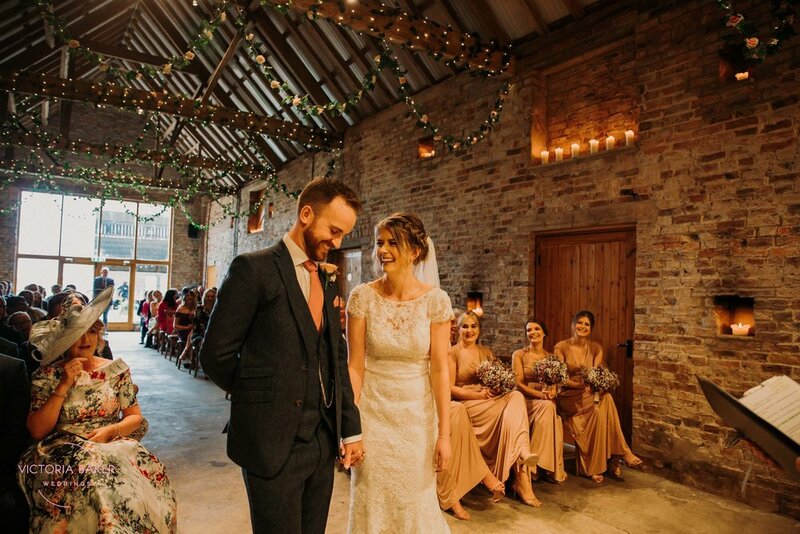 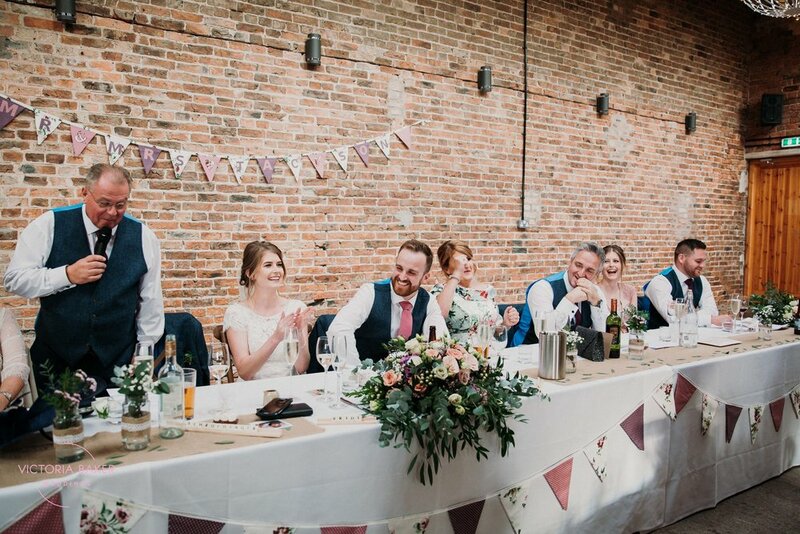 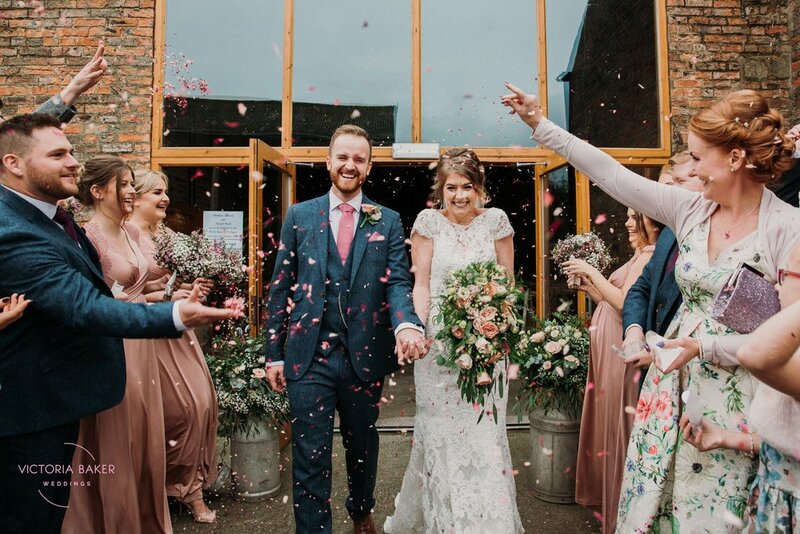 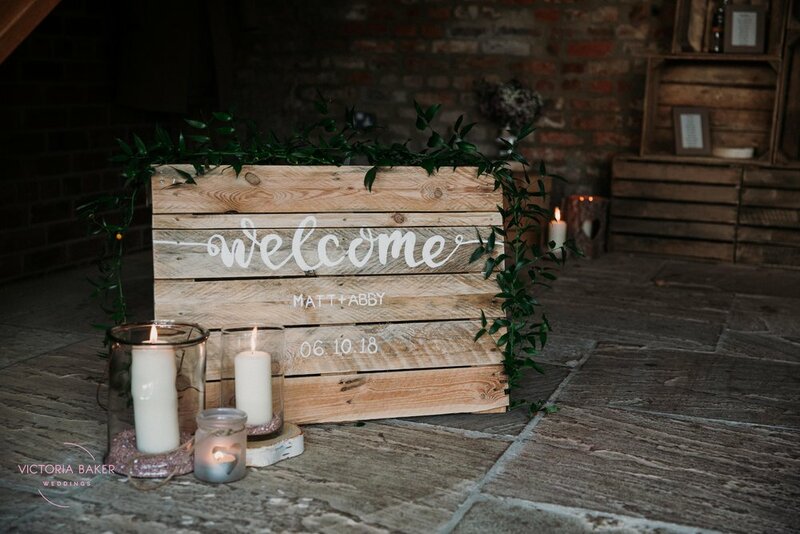 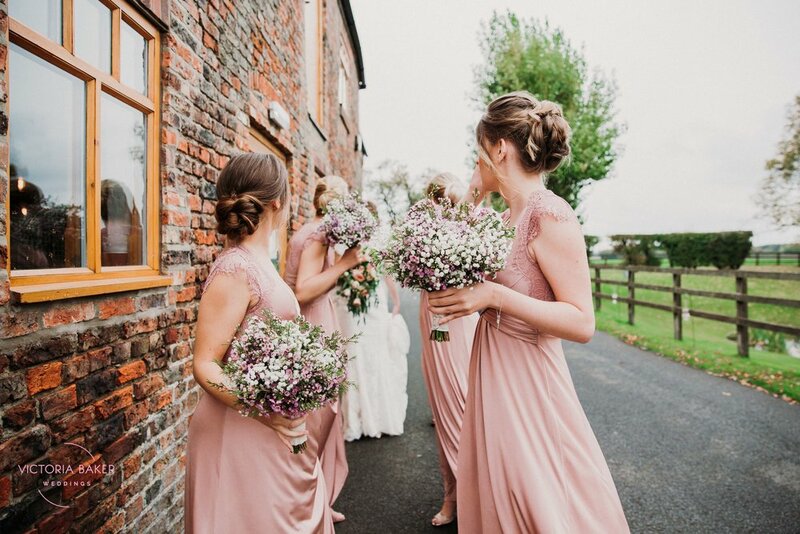 Abby and Matt’s beautiful Barn Wedding took place at Barmbyfield Barn just outside the village of Barmby Moor near York. 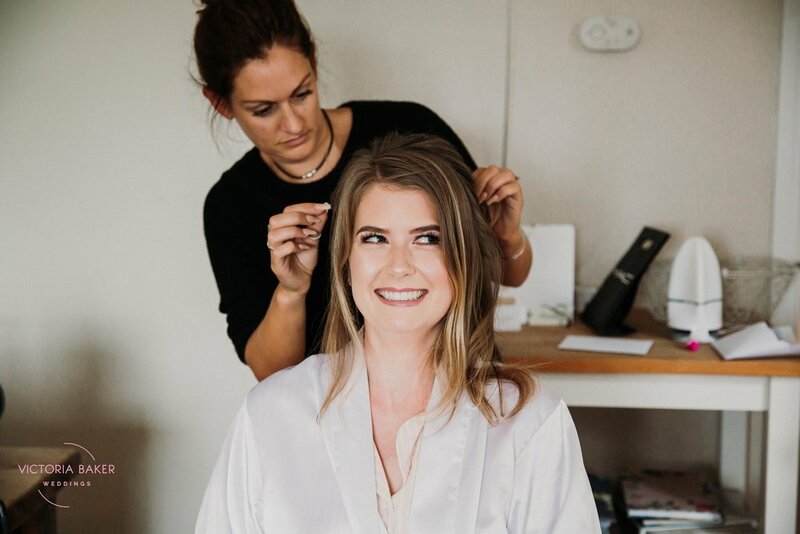 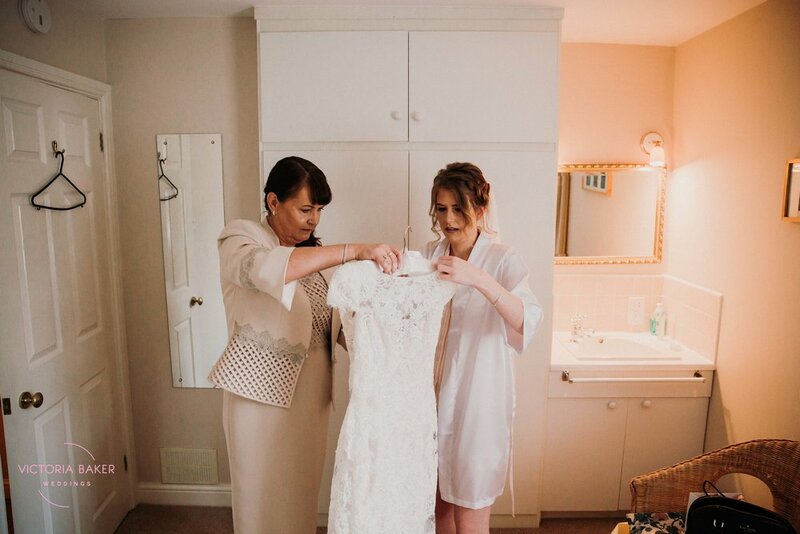 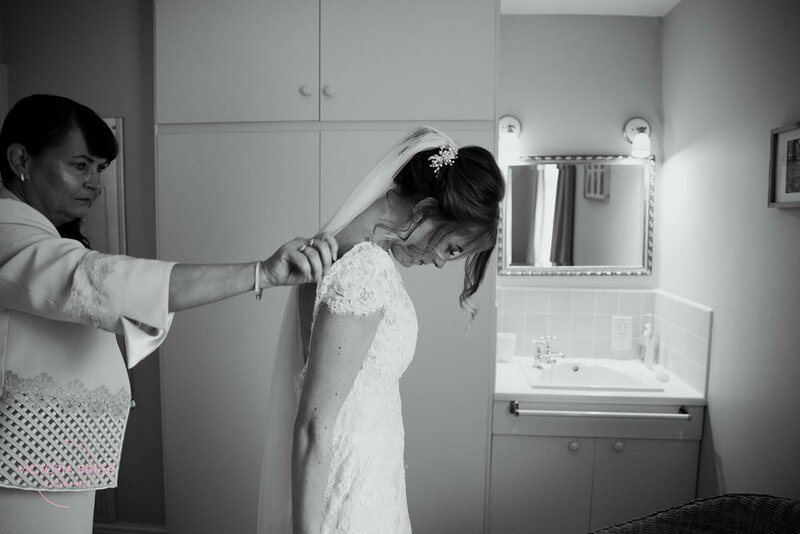 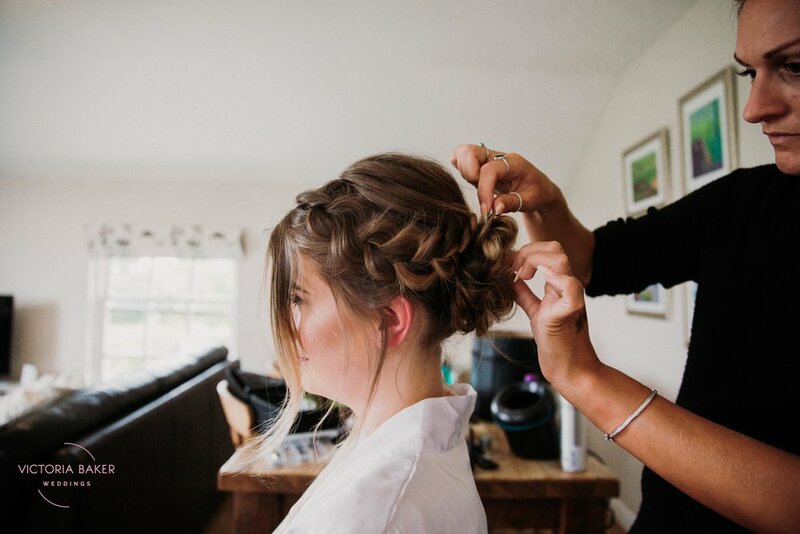 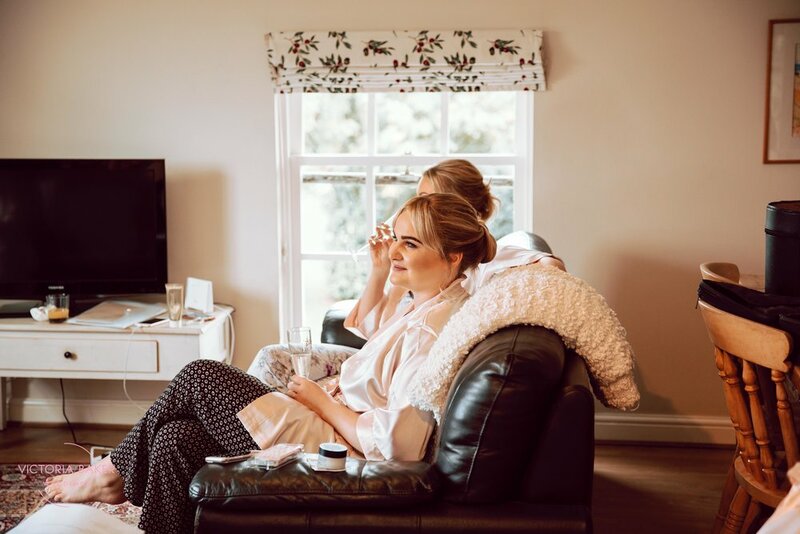 I started off my day with Abby getting ready with her mum and bridesmaids in a beautiful cottage near the venue. 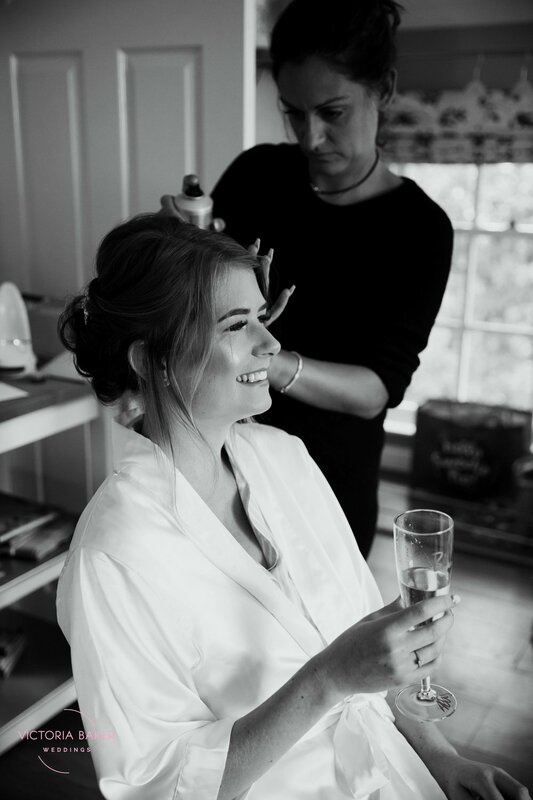 I like to photograph brides getting into their wedding dresses as it’s such a lovely time where all the nerves are building up, it’s also amazing to photograph the reactions of the brides’ loved ones as they see her for the first time. 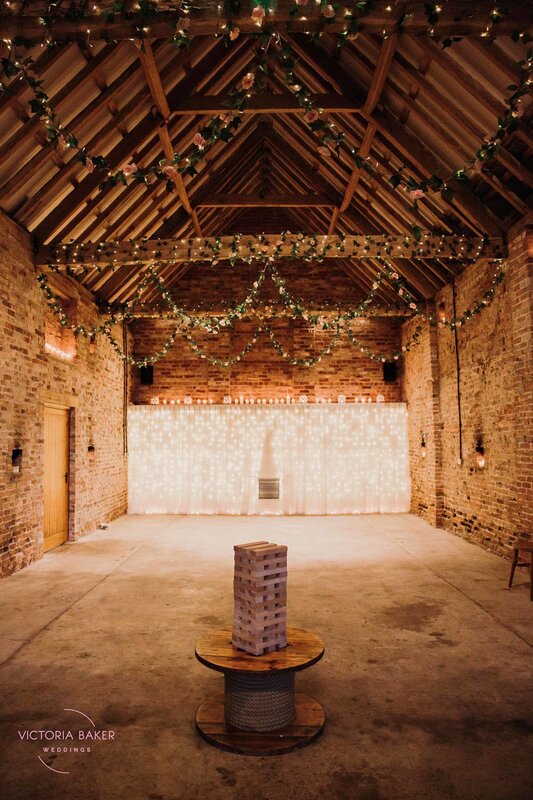 I then made my way to Barmbyfield Barn where all the guests were starting to arrive for the wedding ceremony. 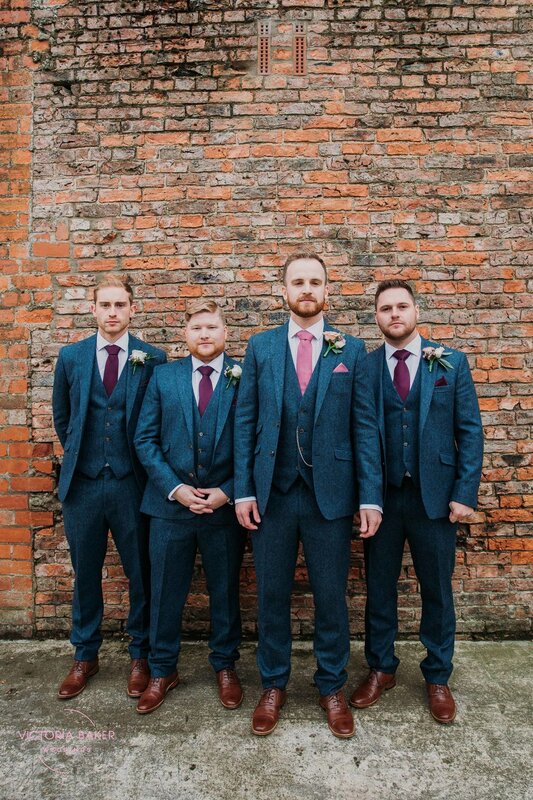 I spent some time with Matt and his Groomsmen taking a few relaxed portraits before Abby arrived. 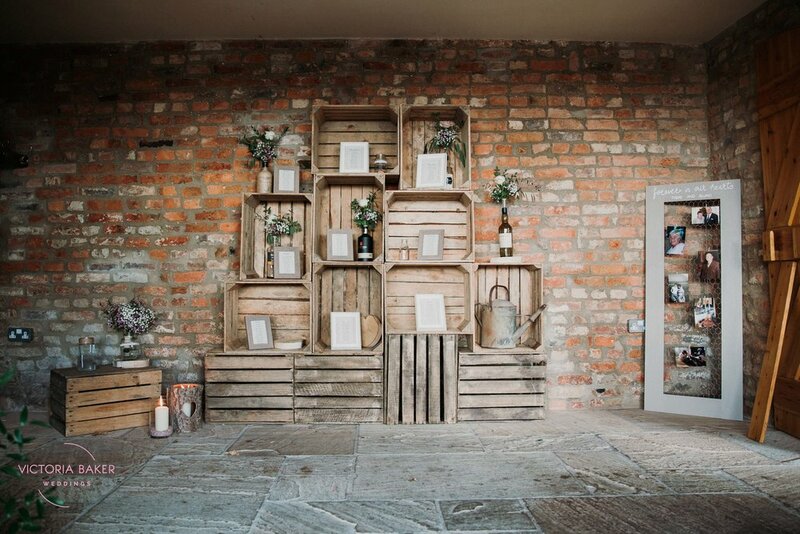 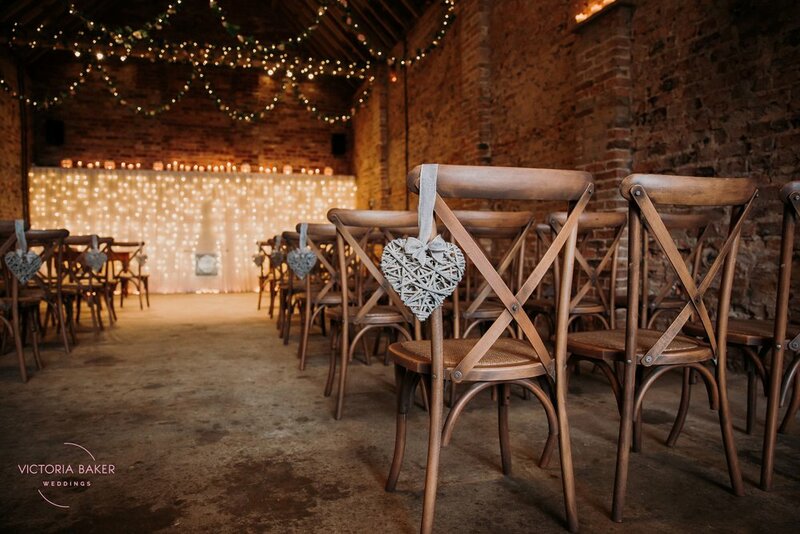 The wedding ceremony at Barmbyfield Barn was lovely, they always are. 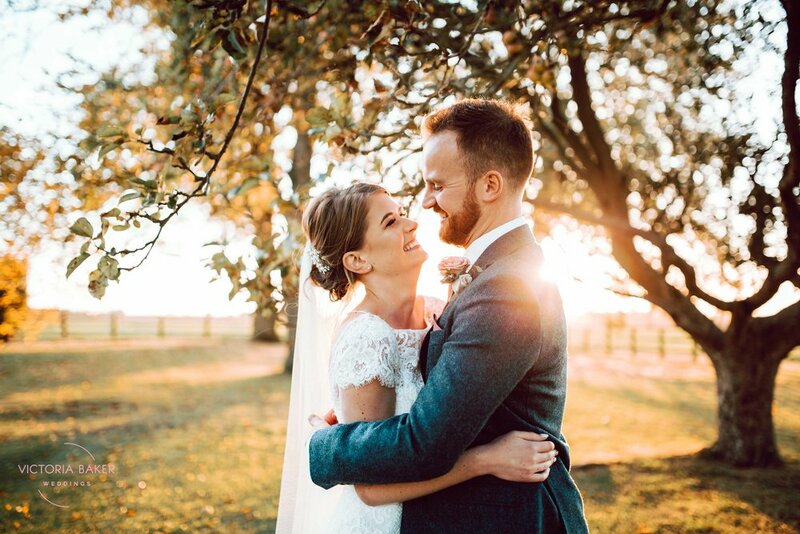 The lighting is so romantic! 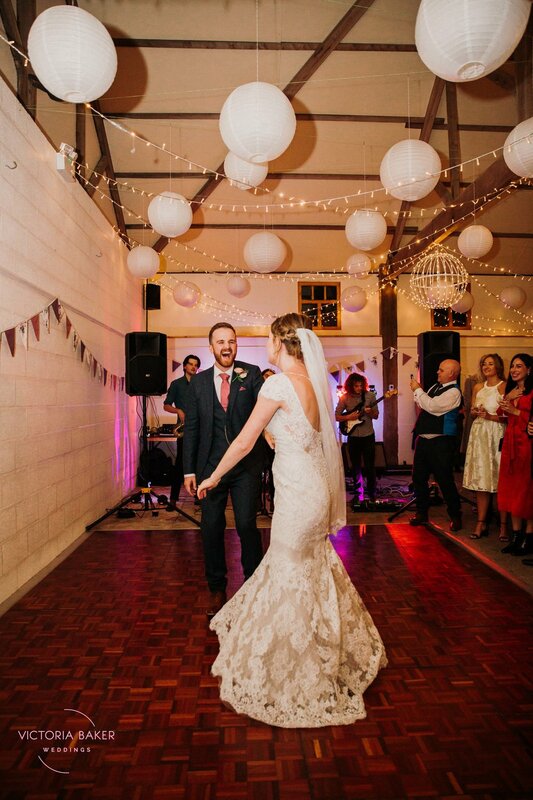 They have a combination of fairy lights and candles and I always find it so beautiful for the ceremony photographs. 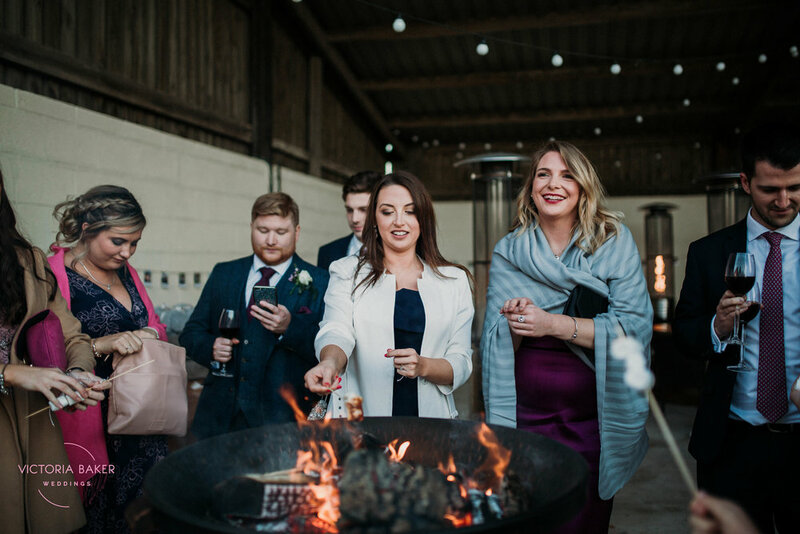 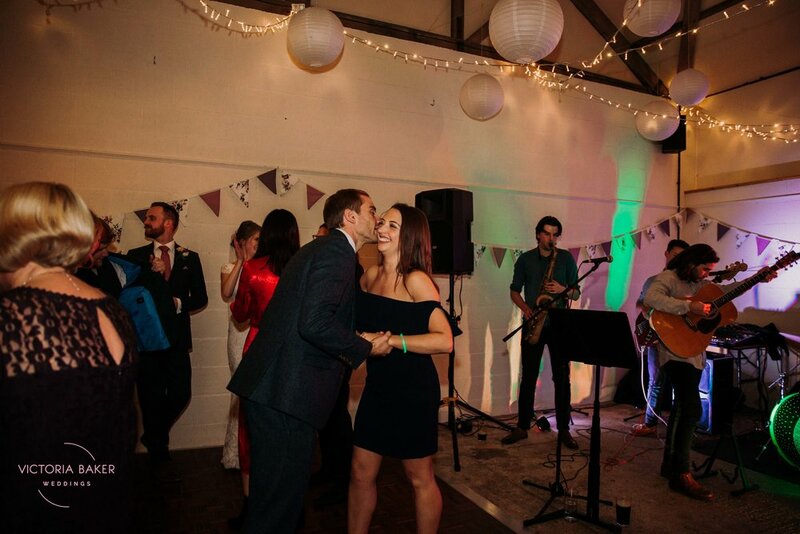 Abby and Matt’s wedding reception had it all - confetti, fire pits, sparklers, the most epic golden hour and amazing live music! 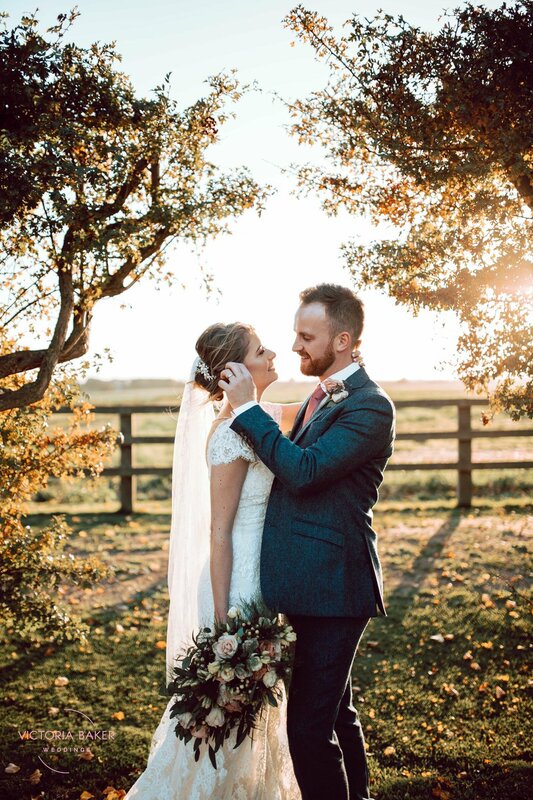 Personally, I don’t think you can beat an Autumn Wedding in Yorkshire, and I think these wedding photographs show why! 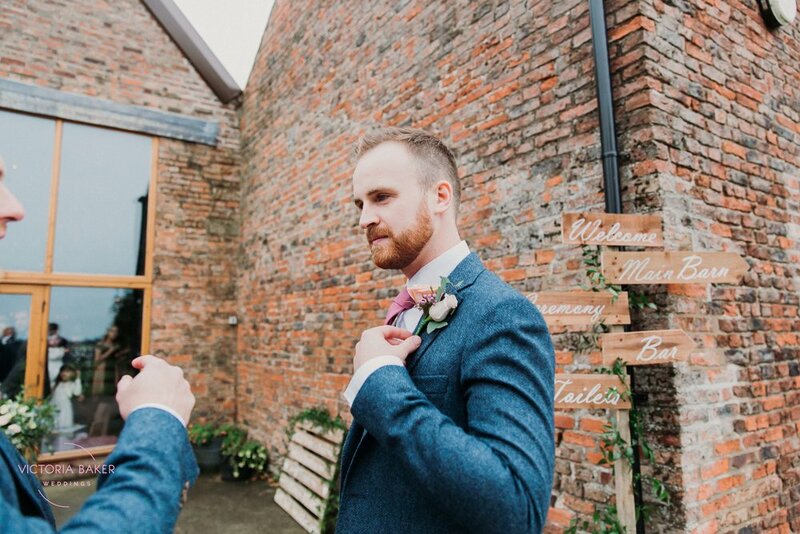 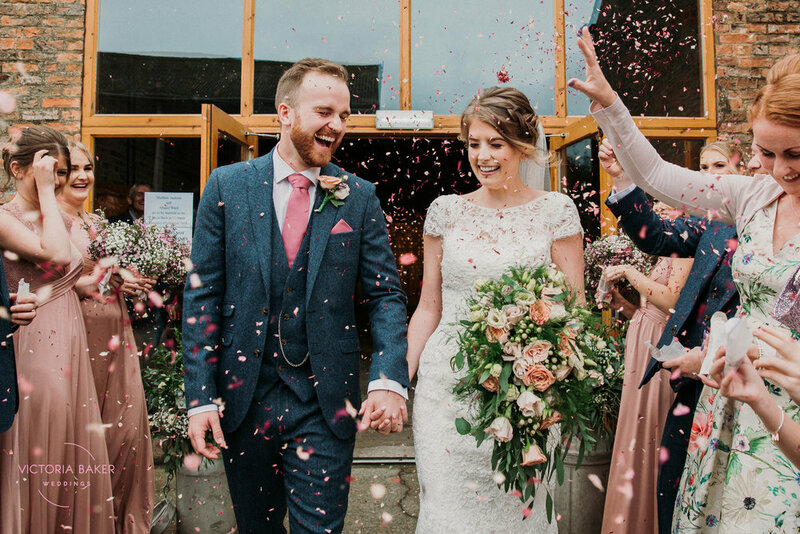 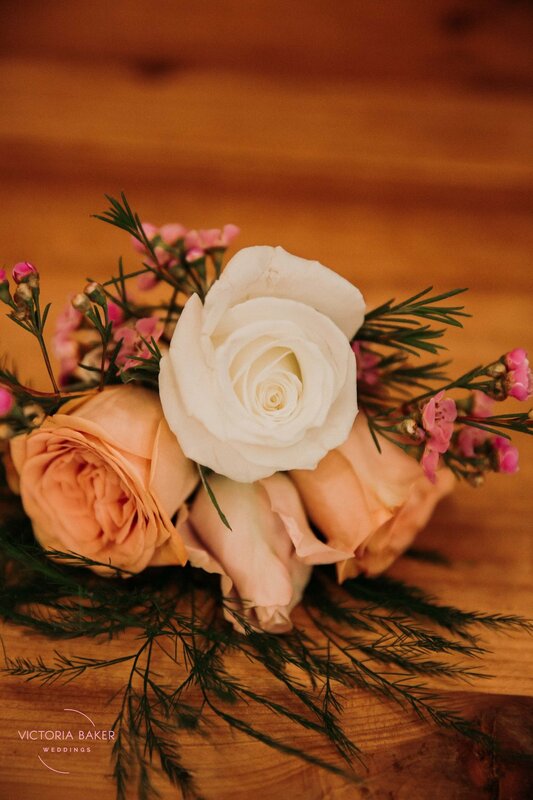 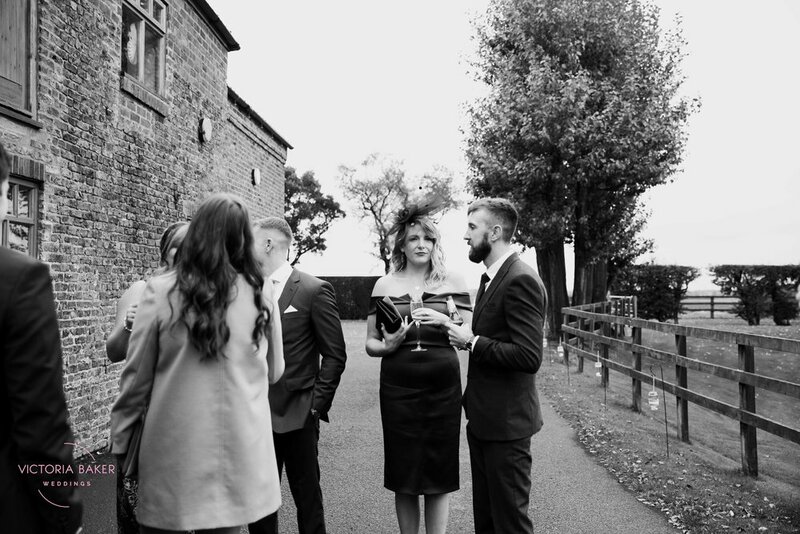 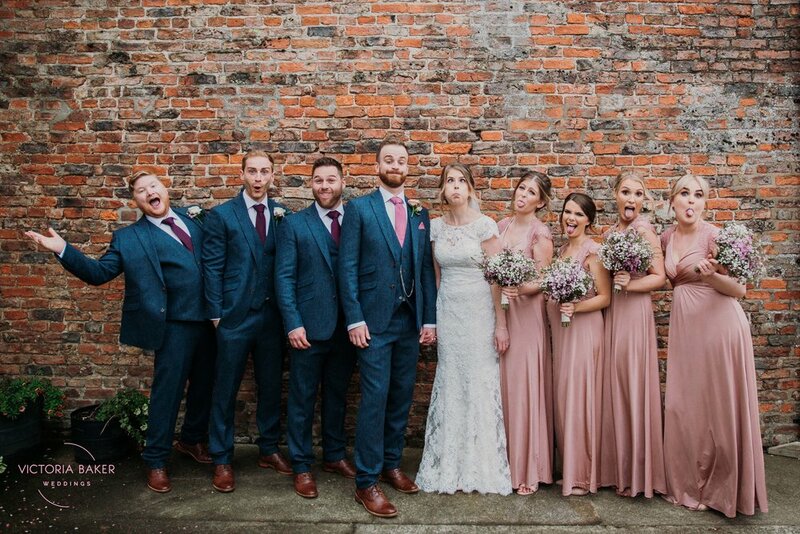 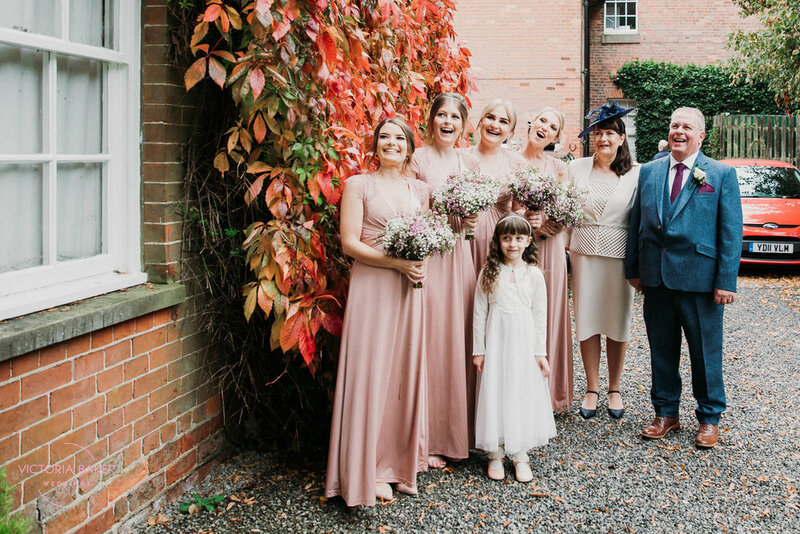 Here are a selection of my favourite wedding photographs from Abby and Matt’s beautiful Autumn Yorkshire Barn Wedding….